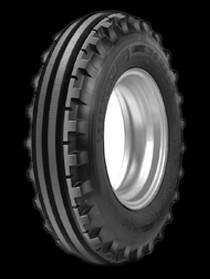 The Lug Ring is a very popular front tyre for tractors which are used for road transportation in addition to field work. 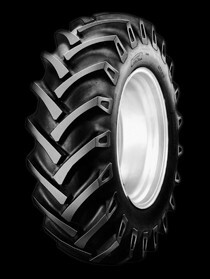 The tyre is also highly suitable for planting and sowing machines. Its robust shoulder bars protect the tyre against penetration by sharp objects. The large tread surface guarantees a long life-span. The role of the front wheels of tractors in preventing structural damage to the structure of the sub soil should not be underestimated. That's why Vredestein developed the Multi Rill for modern rear wheel drive tractors which are being used in pasture and arable lands. The self-cleaning line tread gives stability and prevents damages to the turf. The strong nylon carcass has good resistance to extra peak loads, for example, when using a front loader. The Tractor Transport is often fitted on light to medium horse power tractors. The broadening of the cleats in the centre of the tread ensures driving comfort and has a positive effect on the life-span of the tyre. The cross-ply carcass construction offers superb stability and is also popular in the forestry industry thanks to its high resistance to impact damage. 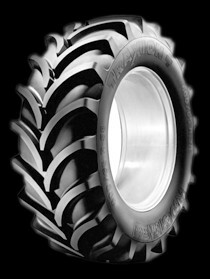 The key to the success of the multi-functional Traxion+ is its revolutionary tread design. The result is optimal performance on the land and during transportation. The Traxion+'s special tread cleat design, with a wide space in the shoulder area, ensures excellent self-cleaning in the traction zone. This in turn guarantees maximum traction. The almost continuous contact area in the middle of the tread, the comfort zone, provides for optimal comfort and safety during transportation at relatively high speeds. This also reduces tyre wear, increasing life span. Optimum tyre performance forms the basis for a high return on investment. 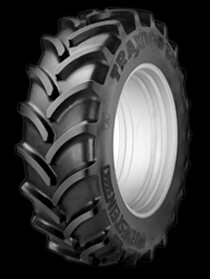 The unique tread of the Traxion85, its wide belt and flexible carcass ensure a flat tread contour, offering even pressure distribution. Out in the field this results in better soil quality as tyres are less prone to digging in thanks to the increased tread surface. 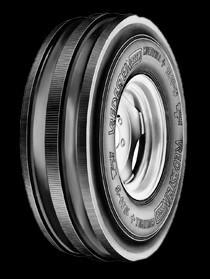 It also forms the basis for the tyre’s excellent road-going properties, including low rolling resistance, a comfortable ride, and long service life.